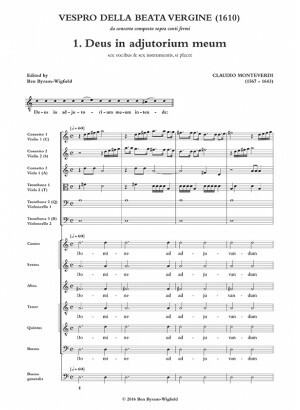 Monteverdi's Vespers of 1610. Score for Choir and Conductor. The edition is available with Lauda Jerusalem and Magnificat transposed downwards, or at original pitch. Select your choice in the drop-down list. Designed to give the maximum help for conductors and performers, this edition provides tempi indications, proportional relationships between metres, rhythms for falsobordone sections, indications for instrumental doubling, and other useful information. These editorial suggestions have been applied to the score subtly, without damaging the original notation. If you want your own customized edition, please contact us! 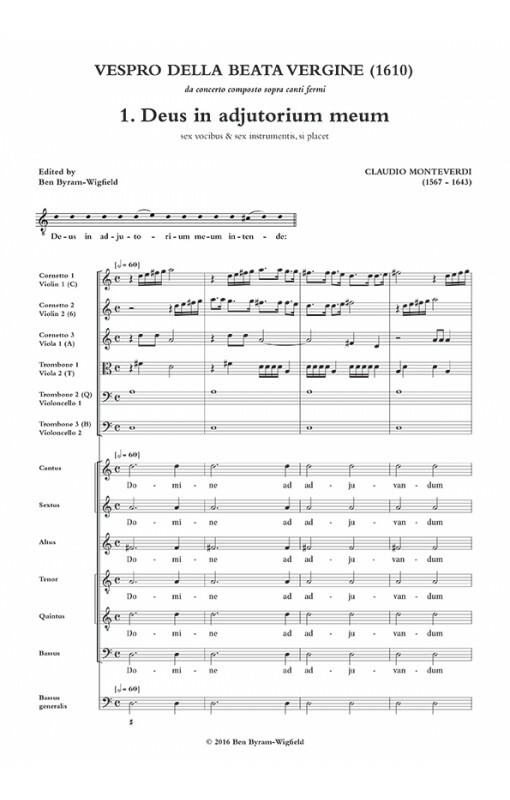 Click here for more information about our edition of Monteverdi's Vespers.